Theresia Kabiti is the mother of three children living in Nairobi, Kenya. After working in several private education institutions she came to the realization that local children weren’t receiving quality early childhood education because of costly school fees that poor families just couldn’t afford to pay. This caused many children to seek schooling by shady business people who sought to exploit their situation. With the current situation unacceptable, Theresia took action! She and several other concerned locals established “The Terrian School”. Parents were asked to pay a small fee (equal to $5.50/month) to help sustain the teachers, many of whom are volunteers. Even if parents can’t afford the small fee, NO child is ever turned away from The Terrian School. My name is Achintya Rai and I am Zidisha’s Kenya Client Relationship Manager. On Tuesday (6th March 2012) I visited Theresia Kabiti. Theresia stays in an area called Githunguri in Embakasi where she runs a small school. The name of her school is Terrian Academy. She currently has classes from nursery to standard three. Earlier Theresia used to teach in a school. She found that in her area many people were not sending their children to schools because the school fees were high. Most of these people worked as laborers on daily wages. Theresia decided to start a school to facilitate education among the poor. She told me that when she started she had to go door to door to tell people about her school. Her first class had just 5 students. Today her school has about 80 students and every time she adds a class, this number goes up by 15 or 20. 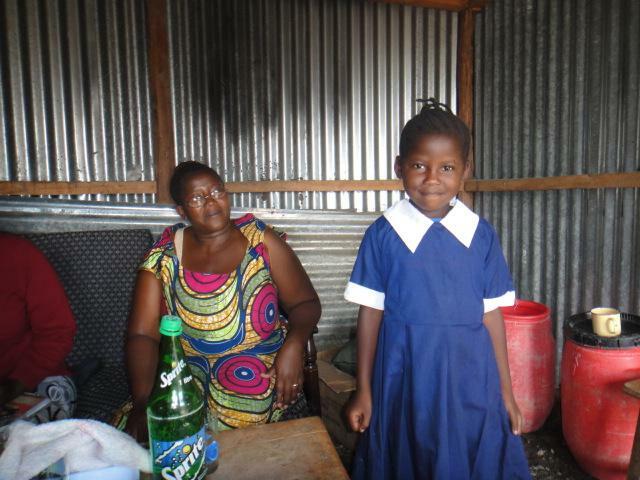 While the other schools in the area charge about 2000 shillings per month, she charges just 500 shillings as fees. Theresia used her Zidisha loan to construct on the plot of land she was renting for the school. 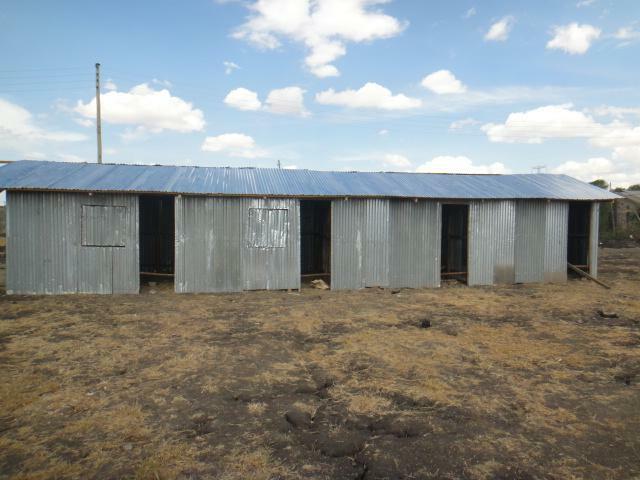 She recently purchased a plot of her own where construction of semi-permanent classrooms has already begun. She wants to use the next Zidisha loan to construct a permanent building on her plot. Theresia has two daughters and one son. Two of her children study in boarding schools and the youngest daughter studies in her school. When I asked her if her daughter gets any preferential treatment being the principal’s daughter, she laughed and said no. The little daughter wants to be a pilot and Theresia hopes to be able, with the help of Zidisha loans, to afford the high aviation college fees. The best thing about Theresia’s school is that they have PE (Physical Education) class everyday. This is when the children are allowed to run free. If I were a parent doing hard physical labor the whole day, even I’d insist on the school tiring my kids before sending them home. 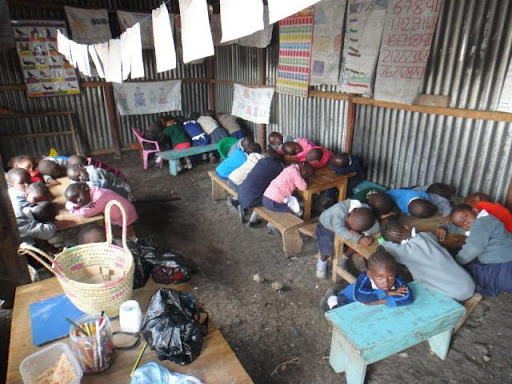 I also saw the whole class of nursery students sleeping, not because the subject was boring but because it was their nap class. I tried to be quiet while taking a picture, but some smart ones did manage to sneak a peek at the camera. Posted on March 10, 2012 by Julia Kurnia. 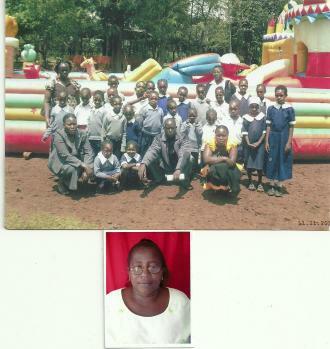 This entry was posted in amazing people, Blog, inspirational, Kenya, Microfinance, Microlending, Microloan, School. Bookmark the permalink.